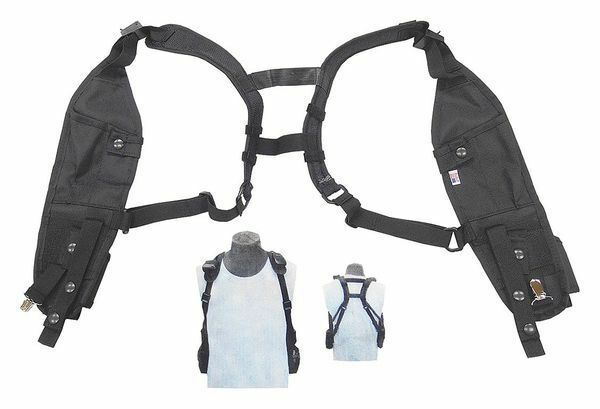 Double Shoulder Holster Designed To Carry Two LMR Portable Radios | Magnum Electronics, Inc. Some work teams and group leaders carry their own 2-way radio for internal communications but need to carry a second portable for interoperability. Our universal double shoulder holster is compatible with all 2-way radios including Motorola, Vertex Standard, Kenwood, Harris, HYT, Icom, EFJ, and others. The USH-300D can be worn inside or outside jackets and is seat-belt friendly. Law enforcement can use it for covert and undercover surveillance. It includes 2 rear pouches and an antenna keeper too. It is constructed with lightweight ballistic nylon. 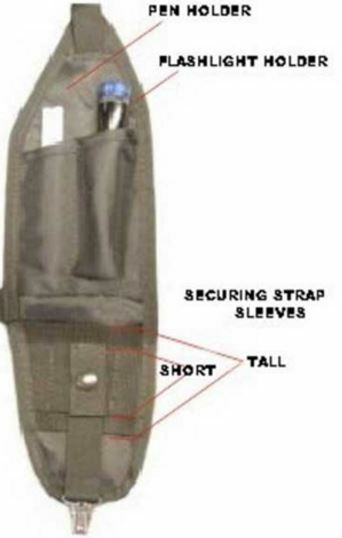 The shoulder holster is also available with a single radio pouch for left or right-handed users. The USH-300L has the radio located on your left side for right-handed users. Choose the USH-300R if you prefer to hold your radio in your left hand. Visit this link for more unique, hard-to-find two-way radio carrying solutions including chest packs, belt packs, deployment cases, etc. We also carry the full line of Boston Leather accessories for firefighters, ems personnel, and law enforcement. This entry was posted in APX Radios, Interoperability, Motorola, MOTOTRBO, New Products, Portable Radios, Vertex-Standard and tagged 2-way radio, Carry Holder, communications, DMR, Interoperability, military, wireless by magnumelectronics. Bookmark the permalink.